IEEE, pronounced “Eye-triple-E,” is the world’s largest technical professional association with a membership that has long been composed of engineers, scientists, and allied professionals. These include computer scientists, software developers, information technology professionals, physicists, medical doctors, and many others in addition to IEEE’s electrical and electronics engineering core. IEEE’s roots go back to 1884 when electricity began to become a major influence in society. There was one major established electrical industry, the telegraph, which since the 1840s had come to connect the world with a data communications system faster than the speed of transportation. The telephone and electric power and light industries were in their infancy. 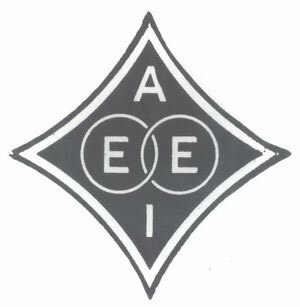 In the spring of 1884, a small group of individuals in the electrical professions met in New York and formed a new organisation to support professionals the field and to aid them in their efforts to apply innovation for the betterment of humanity and the American Institute of Electrical Engineers AIEE) was born. That October, the AIEE held its first technical meeting in Philadelphia. In the early days, the AIEE became increasingly focused on electrical power and on wired communication, both the telegraph and the telephone, and their respective ability to change people’s lives. Through technical meetings, publications, and promotion of standards, the AIEE led the growth of the electrical engineering profession, while through local sections and student branches, it brought its benefits to engineers far and wide. The IRE was modelled on the AIEE but was devoted to radio, and then broadly to electronics. It also furthered its profession by linking members through publications, standards, and conferences and encouraging them to organise local sections and meetings to exchange information and ideas.Increasingly, the interests of the societies overlapped and on 1 January 1963, the AIEE and the IRE merged to form the Institute of Electrical and Electronics Engineers, or IEEE with the professional groups and technical boards of the predecessor institutions evolving into IEEE Societies. At its formation, IEEE had 150,000 members, 140,000 of whom resided in the United States. Over the subsequent decades IEEE’s activities and the results of those activities have continued to spread across the world and reach into more and more areas of people’s lives. Today IEEE serves its members and their interests with 39 Societies; 130 journals, transactions, and magazines, more than 300 conferences annually and 900 active standards. It has over 430,000 members in 160 countries and through its global network of geographical units, publications, web services, and conferences, remains the world’s largest technical professional association. The UK and Ireland Section of IEEE has over 10,000 members and is part of Region 8 which covers Europe, the Middle East and Africa. The Section arranges keynote lectures and many other events throughout the UK and Ireland including those organised by the Chapters of IEEE Technical Societies. IEEE members living in the United Kingdom or Ireland are automatically members.